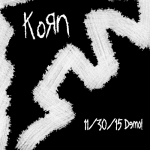 SlipKnoT Demo: A .SlipKnoT._2_2 Promotional Level Pack is the demo package for the 2-part chapter "SlipKnoT IX." It revealed 6 new levels that came exclusively from SlipKnoT IX. 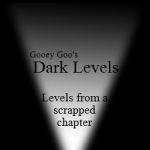 A new goo transition is featured in the level pack. It is the first addin in the history of Goofans to modify goo_transition in and out. I'm very lucky to be the first to even think of it. There are some level folders inside the Override directory. Those levels are included in the assumed chapter.